So I gave Exodus: Gods & Kings a chance, I really did. I know with the entire backlash stemming from the main characters being white and Ridley Scott not doing himself any favors by telling people to "get a life" in that regards, the movie still sucked. I'm a fan of Christian Bale, Ben Kingsley, Sigourney Weaver & John Turturro as the next person, but the film just simply wasn't good. For me it didn't really connect the way it should have when I was trying to put it together, the story felt a little rushed. I think I actually fell asleep from a great bit of the movie and came back in when Ben Kingsley popped up on my screen, just because I pay attention when he talks. Aside from the fact the storyline was a little lackluster; the visual effects were pretty on point, well also aside from the European profile of the great Sphinx Pyramid. Personally I think this movie was more so meant to be a very pretty film and not much more, with all of the plot holes that I saw. I could be a little bias when it comes to this movie because I was comparing it to The Ten Commandments for majority of the movie. Basically to me, the movie failed when it came to the storyline, and the cast, but succeeded in the visual effects department. It's no secret that Hollywood is white washed, and there is no secret that most of the roles in Hollywood do not pass through the desks of top African American actors and actresses. That's just simple fact. But as I've said it multiple times here on this site, I feel that times are changing in the world and we're starting to see a shift, and it's all because of social media. For a long time the entertainment and news industry successfully put a shroud of mystery of its practices. The public didn't really know too much about the behind the scenes dealings and were typically just interested at what happened in front of the camera and not behind it. But in a new age where tell all movies and books dominate the air waves and reality shows based off the struggles of declining actors are the norm, Hollywood's practices are becoming exposed. No longer can they dictate to us who we think should and shouldn't be in movies that we are paying for, and no longer can they hold us back from the truth of how most African American actors aren't even bought up when discussing movie roles. Now that may be in part of how America would react, with all of its hidden racism. But we'll never know for sure until we make an effort to change. 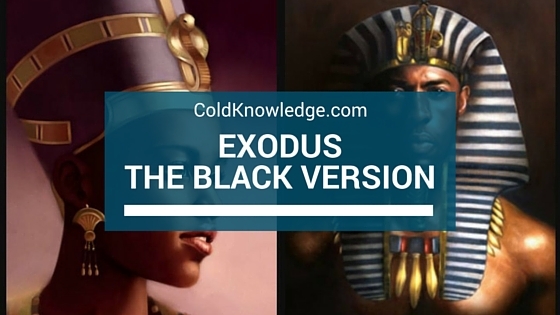 That's why I have one simple request, remake Exodus with black actors as the lead. All I'm saying is at least try to give us some sort of chance when it comes to movies of this magnitude. I think it's cool that we're being included in some of these big time movie franchises, but making movies on this grand of scale and about the subject matter should be played by people who look the part and not have it white washed for the sake of people who may get offended by seeing someone of color on their screen. Because at the end of the day, that's not how the people during that time period look and that's not how they lived either. But that's just me though when it comes to these certain type of things. I know people are tired of seeing us play the stereotypical role of slave, servant, drug dealer and musician. This would definitely be a step outside of the box towards something different. 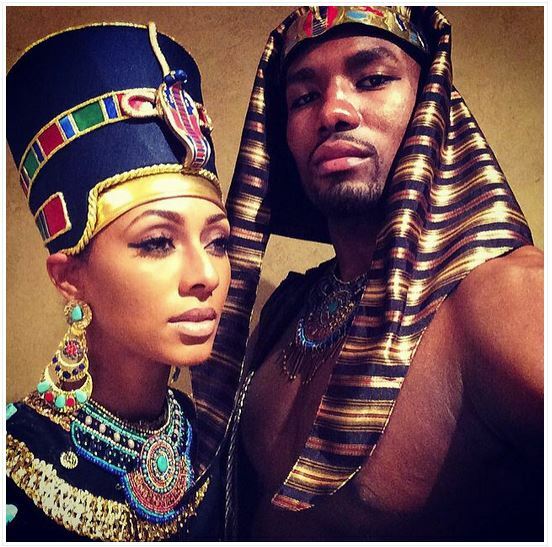 What do you think about African Americans playing the roles of Moses and others in a biblical epic film? Is it a good idea or a bad idea? Leave it in the comments below.